Detectives’ Row is full of talented investigators, but Toby Montrose isn’t one of them. He’s only an assistant at his uncle’s detective agency, and he’s not sure he’s even very good at that. Toby’s friend Ivy is the best sleuth around—or at least she thinks so. They both see their chance to prove themselves when the famed Hugh Abernathy announces a contest to choose the World’s Greatest Detective. But when what was supposed to be a game turns into a real-life murder mystery, can Toby and Ivy crack the case? 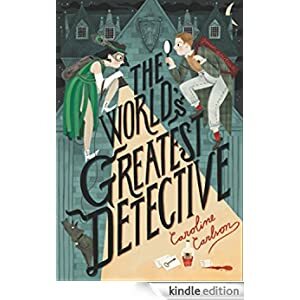 This story of crime, tricks, and hilarity is for readers in grades 4-6 and is selling for $1.99 today.